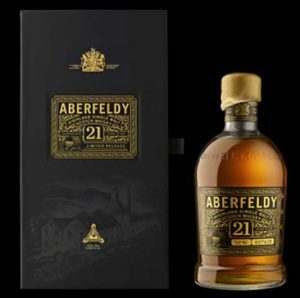 Aberfeldy (AberFELdy) Distillery was founded by John Dewar & Sons, built in 1896 and opened in 1898. It is situated in the centre of Scotland in Perthshire, approx 5 miles east of Loch Tay and the town of Kenmore. It is still operational, but was closed for periods during WW1 and WW2 due to the short supply of barley. John Dewar snr died in 1880 but his two sons John and Tommy, managed to turn their fathers spirit business into a worldwide famous brand. While John built the distillery and managed business at home, Tommy traveled the world promoting Dewar’s Whisky. 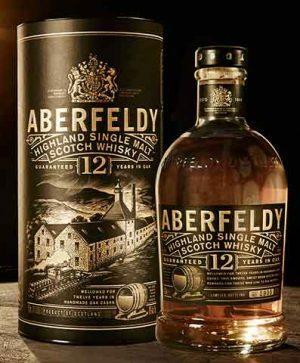 Aberfeldy whisky was reserved for many years as the heart of the famous Dewar’s blends, but is now available as single malt. 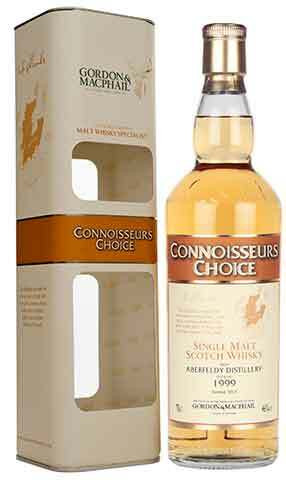 A Highland single malt with sweet honey and yet a subtle smokiness, a single malt that is better known as the heart of the famous Dewar blend. 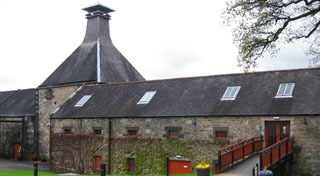 It’s the longer fermentation process that creates Aberfeldy’s honey and heather notes. 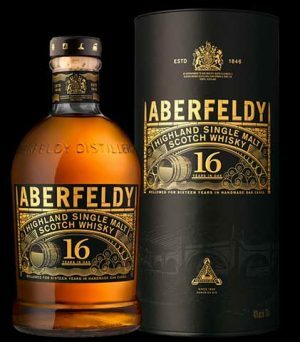 The Aberfeldy 16 years old has been matured in Bourbon casks and then finished in ex-Oloroso sherry casks and will sit between the current 12 and 21 years old expressions in the range, which forms part of the owners wider 'Last Great Malts' portfolio. 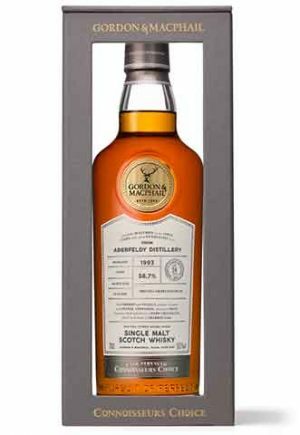 "a lovely balance between sweetness and spiciness"
"A heathery honey aroma and a full flavour with touches of Seville oranges, which linger on the tongue".